We need protein as part of a healthy diet— and many of us turn to meat as a source. Satisfying the projected growth in worldwide protein demand is a complicated task and doesn’t lack for controversy. 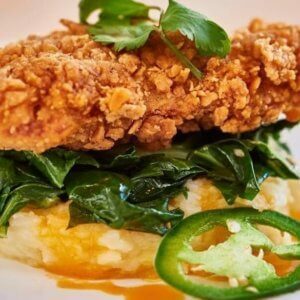 Cell-based meat, an innovative protein, is being accepted as a viable component of a healthy, robust protein source. But what should we call it? Population growth and rising standards of living will increase the demand for animal meat and vegetable proteins in the decades ahead. Experts say we will need 50% more protein by the year 2050 to provide adequate protein for everyone. What are the alternatives to animal production? Many argue for a greater consumption of vegetable proteins. 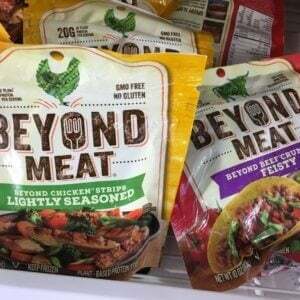 Indeed, plant-based protein products, such as Beyond Meat are now a significant factor in the marketplace. But entrepreneurial scientists have recently generated another alternative: cell-based meat, where cells from an animal are cultured and grown in a lab. 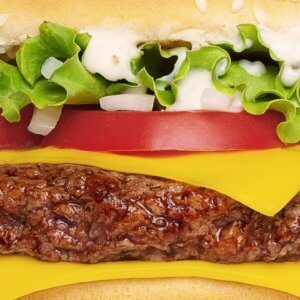 Dirt-to-Dinner examined “meatless meat” in A New Burger. Since that report, the science and industry behind this new source of protein continue to develop. 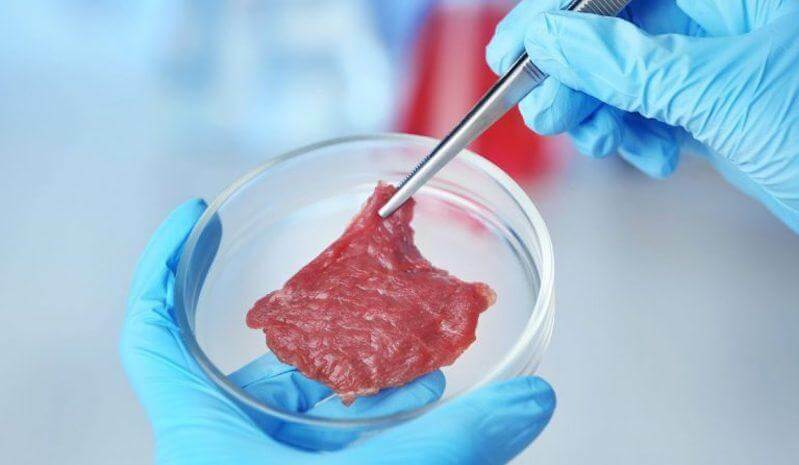 Companies such as Memphis Meats, Mosa Meats, and Modern Meadow also report positive feedback of cell-based meat as a legitimate player in the protein sector. At Memphis Meats, we have a “big tent” philosophy, and collaboratively work with consumers, regulators, mission-oriented groups and major meat companies to help feed a growing planet in a sustainable way. This is a goal that everybody shares. Trending today is a positive reaction from consumers on texture, taste and other matters important to consumer acceptance of the product. Production advances are slowly working on bringing the price point and availability for the product into a range acceptable to consumers. It’s what to call this innovative meat! “Cultured meat” has been discussed in the nomenclature debate. After all, the meat is produced from a cultured sample of the cow, chicken, pig, fish or other target animal. But “cultured” is used in fermented foods such as yogurt and even cured meat, so could lend itself to consumer confusion. “Laboratory meat” or “lab meat” may conjure up images from a sci-fi movie. Consumers like foods that invoke happy images of a well-fed and satisfied family, not a science lab. Another contender, “clean meat,” calls attention to the lab’s sanitary conditions, but is yet another unsavory mental image for the shopper. The term “clean” also draws objections from those who fear it suggests other types of meat aren’t clean and are therefore somehow suspect. 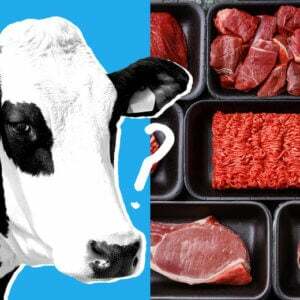 Consumer advocacy groups worry if the product is called “clean meat,” consumers may assume it is safe and won’t take adequate precautions in preparing it for consumption. The roster of possible names goes on and on, as do the objections and concerns. Some animal producers even question whether the product should be called “meat” at all. Take our poll and let us know what you think! Why is this naming debate so important? The name serves as the frontline effort to introduce this important new source of protein to the global marketplace. For most of the public, the product’s name will be the first step in building its awareness and introducing its value to consumers. A name that turns people off will do as much to impede or accelerate acceptance of the product as any other single factor. To understand this challenge, look no further than the difficulty of the public acceptance of GMOs. In an ideal world, this new source of protein – whatever it is called – shouldn’t be used to promote one type of protein over another (e.g., “superior” in terms of value, quality, economic cost, natural resource demands, ethicality or humaneness). A name that seems to disparage another protein source could provoke an unhealthy competitive environment within the sector when a collaborative effort to boost protein production is most needed. The naming convention of cell-based meat spans far beyond the label. The name of this new protein will affect consumer acceptance (or rejection) and will ultimately help or hinder its growth within the protein sector. Leaders in this sector want to present a unified front to consumers – a group united in a shared commitment to providing the growing population with the protein it needs. Garland West is a writer and business consultant with several decades experience in food and agricultural issues, most notably those involving food security and economic development.